Familiarity breeds contempt. It can. Faithful wives who suddenly find themselves dumped for younger prettier arm candy know. But of Sylvester Stallone's numerous more artsy big-screen efforts, none have come close to the commercial success of the Rocky Balboa and John Rambo franchises. To revive his action-hero career, he later introduced Barney Ross, leader of the Expendables. Having just turned 70, today Stallone is said to be torn between producing the 4th Expendables next; or a sequel to Creed, the film which revisited his aged Rocky character. Either way, the ticket-buying public gives a toss about familiar contempt. For a movie character and his exploits, they find familiarity most assuring instead. Familiarity breeds comfort. Playing to this fact equals box-office success. It gives the people exactly what they want: beefcake excess, macho one-liners and loud explosions all in shiny hi deaf. PRC brand Soundaware can't fall back on familiarity. At least in the West, they're new. My introductory review of their Esther M1Pro portable made a first dent. Explosions to follow? Today's follow-on report on their D100 Pro and A280 streamers expands our would-be franchise. Naturally it spotlights Jet Li and ChiFi kungfu, not Western fisticuffs. But even for newbies, giving people what they want is a good recipe. Bundling in a feature they may not expect—or which they don't realize they should want—can add a point of distinction. For today's models, that's the memory card slot. Being networked D/A or D/D converters with 32/384PCM DSD256 support, optional clock inputs, small displays but no internal HDD/SSD storage, the slot is another dent. 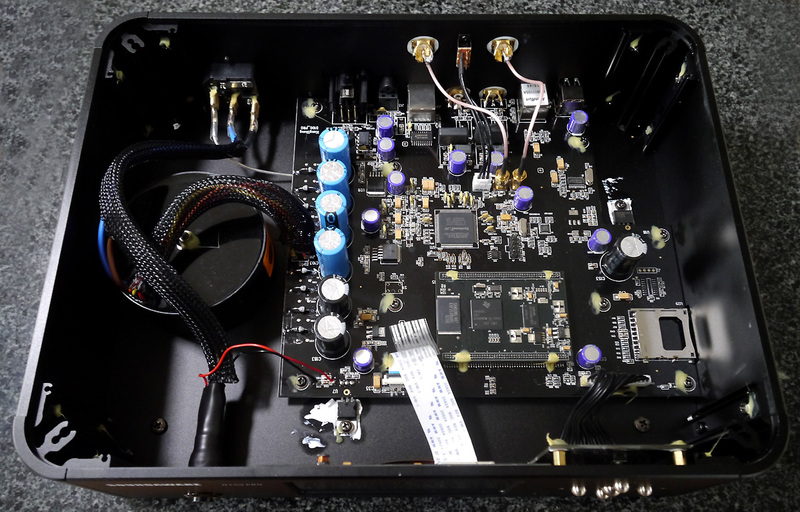 It doesn't hawk the notion of a costly 'audiophile server' (a purpose-tweaked computer in a hifi jacket). Instead it proposes that if one had a digital-file music library on a computer, one may bypass its computer as a playback device. Obviously navigating a massive library via antiquated FAT32 file system isn't a walk in the park. It's a dope in the dark. Far more practical if a bit retro is curating a playlist for a given listening session. Do that on the computer, then cut'n'paste to SD card. A few hours' worth of FLAC music export quickly to a cheap 8GB card. That introduces discipline. Listen committedly to a given programme you wrote for the day's mood. Don't skip all over the place just because you can. That nasty habit kills attention spans and true immersion. Not that loading up a monster card for bear isn't possible. You simply must scan a very lengthy folder list; or play in sequence or random modes. You can't cherry-pick by artist/album/song. But you can assemble up to 100 tracks in a favourites list. In network mode, choose between static IP, DHCP and shared network access. Windows with foobar2000 needs the foo_upnp plug-in. Android control runs BubbleUPnP. iOS installs 8player on an iPad. However, my review won't explore any of these functions. That's because our household isn't networked. It's a router free zone. Our Internet access is through a local community network. It taps into a downtown fibre access, then plays relay across a chain of aerials installed on member homes. Celebrating its 10th year this month, it connects our back waters to the triple W where big telecom can't bother to offer service or only offers sub-standard speed. A small dish outside our house aims at the nearest repeater within eyesight. That dish hardwires via Ethernet to our computers. An active splitter generates a feed for Ivette's and my computer. Simple. Clean. Reliable. My review will thus focus on the dent that is SD card playback. I'll compare that to my iMac with iTunes/PureMusic playing the very same files. 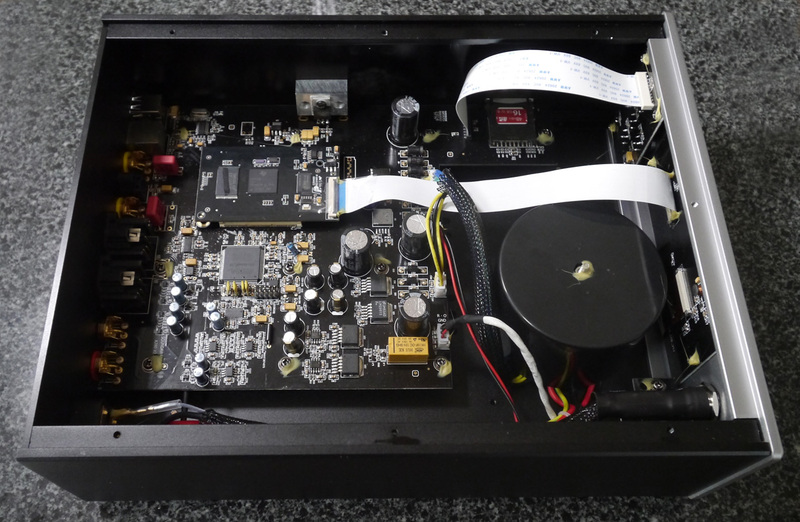 With the D100 Pro being purely a digital transport, its 5V AES/EBU port would feed the same DAC as the iMac via USB. This would hone in on pure transporter action*. With the A280, I'd focus on judging its internal converter. I'd compare iMac-->my DAC (two boxes) to Soundaware's SD card-->their DAC (one box). 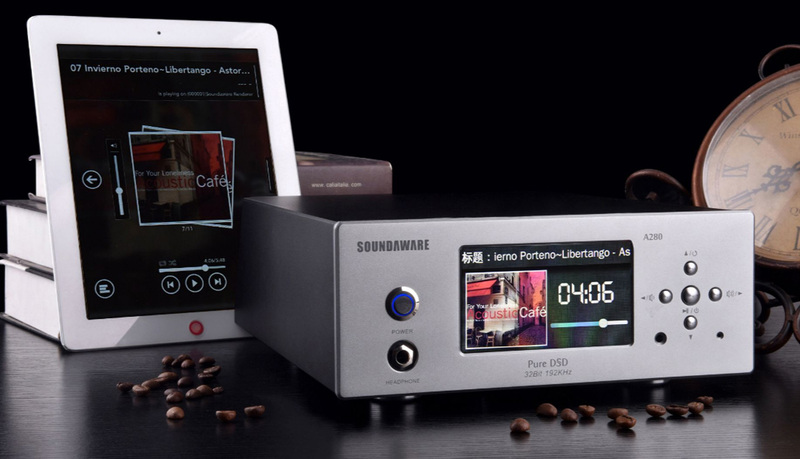 Having a 6.3mm port with digital volume control, I'd also test it as a headfi server on my night stand. Flashback. Past trials with dedicated hifi servers left me underwhelmed. Often grossly more expensive than my fully loaded Retina-display iMac, audible dividends were minute at best. Meanwhile their own displays paled on size and quality and access to them mandated tablet remotes. Instead of investing in an overpriced audiophile server, I'm thus on my 3rd iMac. However, card-based playback without Windows/OSX, without physical drives, without mouse/keyboard/tablet... that really makes sense to my inner purist. It's minimalist to the extreme. Wherein hides promise of superior sound to the believers. My only beef with the concept? Lack of swish library navigation iTunes-style, by various categories and search function. Hence my earlier notion. 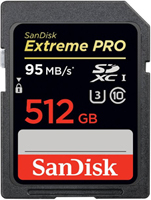 Use SD card playback more strategically. Focus on occasion curation instead of investing in however many costly 512GB cards it takes to transfer your entire library to virtual postage stamps. Scrolling through those would be a cauchemar catastrophique as our French friends call it: a nightmare. Here I add our usual small print. My wife and I are Wifi allergic. Ivette gets migraines. The same microwaves cause unpleasant if less severe sensations on my brain. Hence tablet remotes in our crib are out. And that instantly disqualifies most so-called servers. End of small print. * Computer 'philes love to diss commercial computers as noisy sub-par transports. In my experience until now and to beat a dead horse, I've seen no compelling reason to chuck my PureMusic'd iMac with 32GB RAM and FusionDrive. Today's experiment revisits the subject. Would an $891 transport with SD card reader finally so dominate the iMac as to render it defeated and retired? Wishful thinking or ipso facto reality?